This NLP training course is the 'Life Skills'' course you were never taught at school. This NLP training course is 'One to One' and personal to you and your life! This NLP training course will install the 'Mind Software for Personal Excellence' in all areas of your life and business. This NLP training Programme is about tapping into your true authentic potential to be who you were meant to be! The ultimate objective of this course is to bring NLP to life for you! 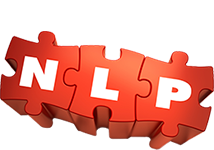 The aim is that it is practical and tailored specifically to how you can use NLP in your life. NLP has become a technology that has been applied across a whole range of fields; therapy, business, education, health, to name just a few, for the simple reason that at it's core it is about how humans use their minds. Therefore, this course uniquely allows you to structure the content by choosing some of the modules that are more specific to you and how you intend to use NLP in your life. The course is flexibly run over ten 'one to one' modules (90 minutes) to suit you in terms of frequency and scheduling. The nature of the course is for personal development so it is experiential. Consider this a practical course, on completion you will awarded a certificate from the University of Life, however if you want to take the NLP training to the next level and gain professional accreditation you can upgrade to a certified NLP Practitioner.